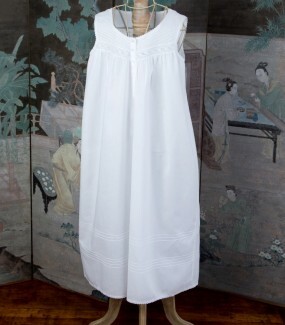 Our Donna Aurora white cotton Nightdress is one of the most popular in the range. 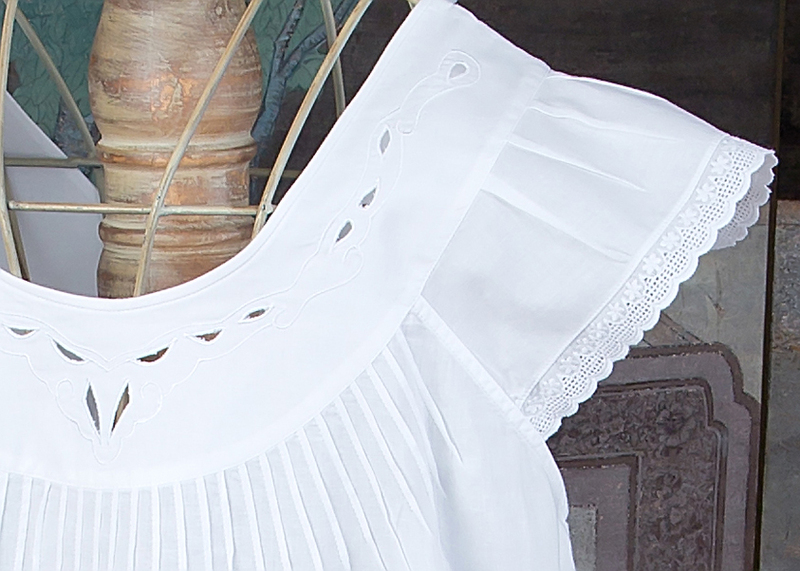 In 100% pure cotton it has exquisite details on the bodice and comes to just above the ankles. It has cap sleeves trimmed with cotton lace, a cut out design on the bodice and pintucking detail throughout. As it sits just above the bust this nightdress suits all shapes and sizes and is extremely comfortable to wear. As with all our nightdresses the cotton is of a superior quality to others on the market and washes and wears extremely well. 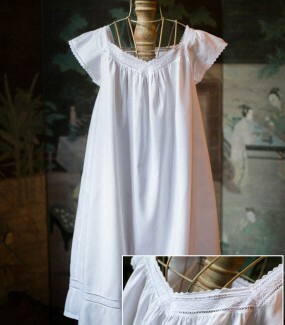 This Donna Aurora white cotton Nightdress is super comfortable to wear and looks so lovely with all its pretty detail. 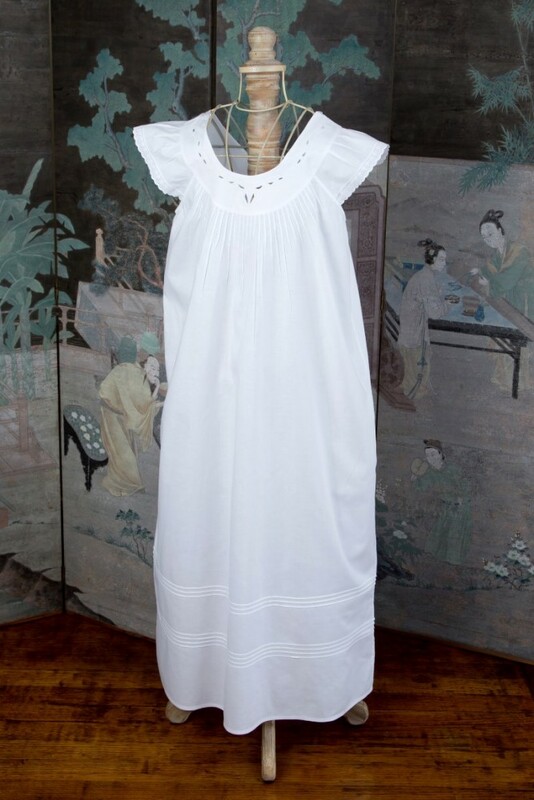 The average size of this nightdress is 134cm long x 52cm wide (measured left to right on bust line). This is for a medium size. As with all our nightdresses they are made by a wonderful charity in the Philippines set up by an American lady who was working for the United Nations to help and support homeless and underprivileged women get back on their feet with sewing skills.